On 1st August, the fungal ecology team tried a new venture: running a training day on fungi and trees for professional arboriculturists. Fungi are very important in the life of a tree, from the mycorrhizas that allow the tree to grow, to the heart-rotters that produce characteristic hollowing of ancient trees. 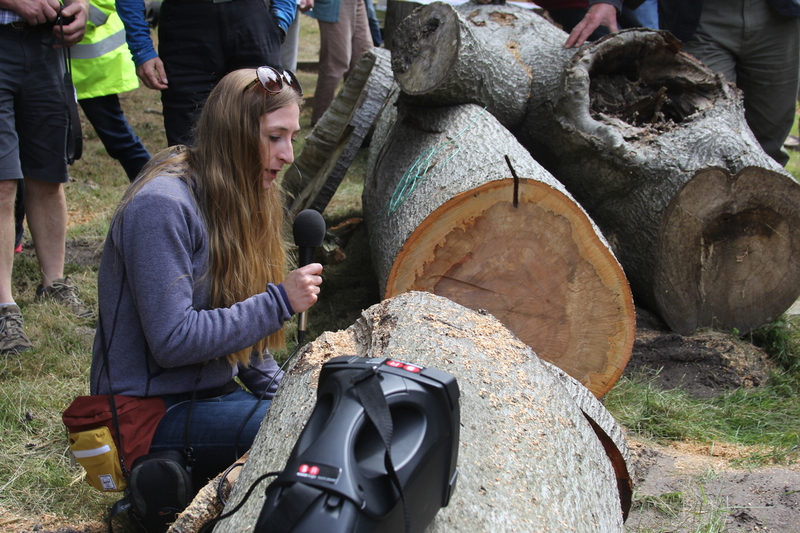 The Microbiology for Arboriculture day aimed to bring up-to date research to the practitioners who manage trees. 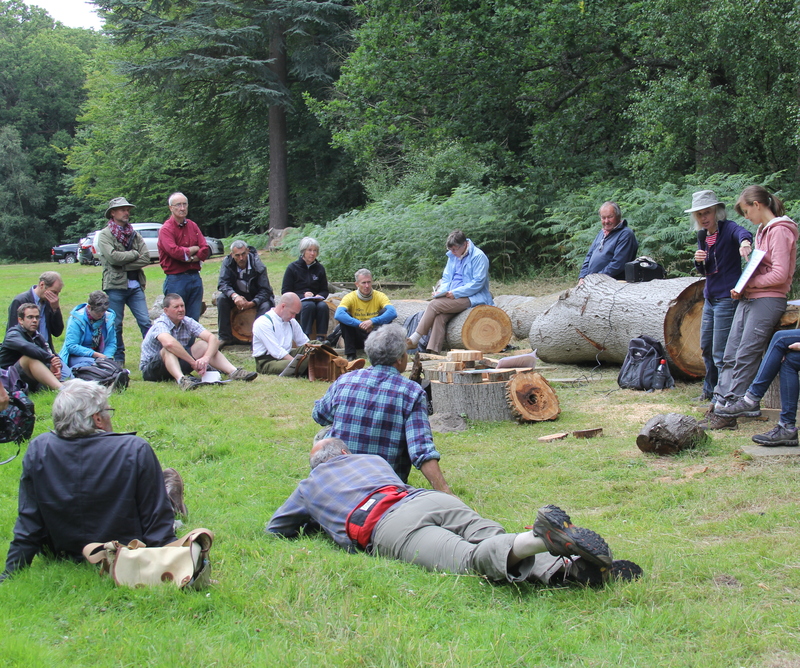 The day was organised and hosted by Ted Green from the Ancient Tree Forum, and the venue was Windsor Great Park: home to some of Britain’s oldest and most beautiful trees. 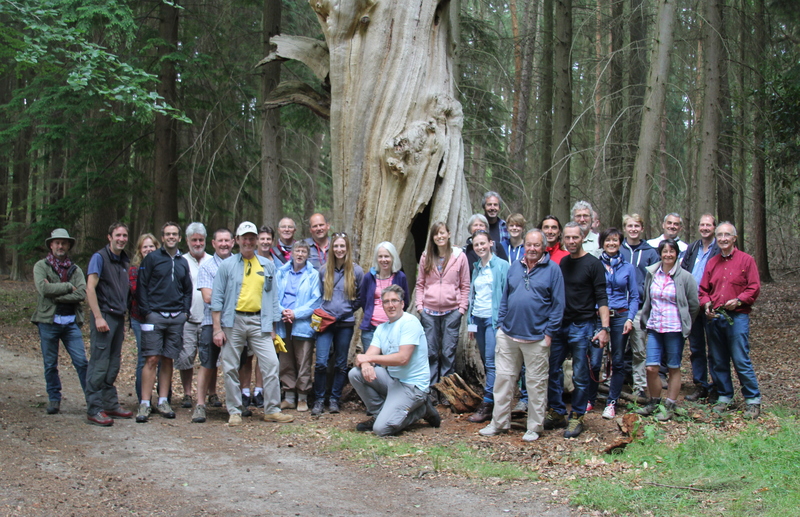 An invited audience of around 30 arboriculturists had come, some from as far away as Sweden and Catalonia. The day was based around visits to several particularly interesting trees, which Lynne used as a starting point to talk about different aspects of fungal ecology, and the relationship between fungi and trees. Three other members of the group came to add in aspects of their research: Emma spoke about heart rot, Jen about fungus-fungus interactions, and Sarah about bacteria in wood. There was also plenty of time for questions, discussion and looking at fungal (and bacterial) cultures on agar and soil. It was an exciting, tiring and enjoyable day, and hopefully everyone went away more interested and curious about fungi than before! Based on feedback from the day, we are hoping to run similar events in future – watch this space.